I was fortunate to both meet and co-present with San Francisco author and illustrator Kathryn Otoshi at the SCBWI Conference in Sydney recently. Having travelled such a long way, she was unable to bring her beautiful, self-published books with her, but I couldn’t resist tracking them down post-conference. I’d heard so much Kathryn and her award-winning work, and was super keen to see what all the fuss was about. I now understand the fuss! 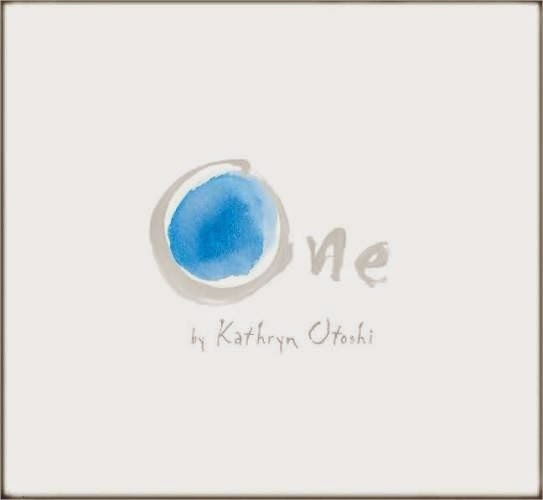 Kathryn’s warmth, intelligence, passion and creativity are all highly apparent in her title, One. A graphic designer, the book features Kathryn’s gorgeous, clean, whimsical illustrations of a series of dots with big personalities ... and sometimes ‘small’ personalities, too. Blue is calm and quiet. Yellow is sunny. Green is bright. Purple is somewhat regal and orange is outgoing. But red. Oh, red is different. Red is a hot head. And he likes to pick on blue. The other colours don’t know what to do. So they do nothing. They don’t know how to deal with a colour who is so big and fiery and intimidating. And the more red bullies blue, the bigger he grows—larger and more fierce and more intimidating, until all the other colours start to feel a little blue. But then—up steps the number 1. He’s bold with sharp angles and squared corners. He’s funny. He’s bold. He tells red to back off. And red does. This changes things. The other numbers step up, too—2, 3, 4, and 5, and each of these numbers adopt the colours of their dot friends. Blue sees the numbers change to yellow, green, purple and orange. Blue wants to count, too, so when red returns, angrier than ever before, blue changes into … six. And blue six is super cool. He stands up to red, and the other numbers join in, too—stopping red in his tracks once and for all. What I love about this book on bullying, along with its superlative design and ability to refrain from a didactic tone, is that the characters are strong, fierce and don’t muck around. They aren’t schmaltzy or ‘everything will be fine so long as we’re nice to each other’—no. They stand up and stick it to the bully and say NO MORE! with the full force and conviction required of something so totally unacceptable in our culture. That in itself is so appreciated, but what Kathryn also manages to do is give a nod to the fact that bullies need love and support, too. Towards the end of the book, 1 announces that red can also count, and be accepted and included—but only if he changes his ways. This is a deceptively simple concept for a picture book. Its depth of meaning is stunning and it’s no surprise it has sold over 100,000 copies and won a string of awards—children have responded so very well to its content and design. I applaud Kathryn for tackling a topic that’s too often done badly in books for children, and doing it in a way that’s creative, fun and impactful. 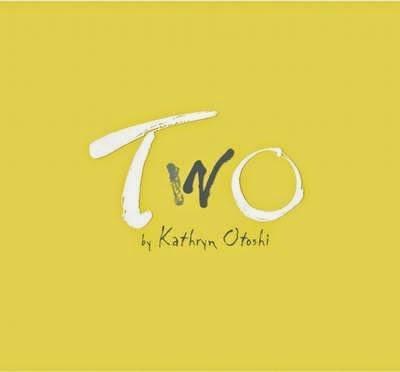 Her second book, Two, is a sequel to this best-selling creation, and I know Kathryn has many more glorious books in the works—all designed to empower children and unite them in a common good: childhood.